Odisha Coal and Power Limited (OCPL) is a state-run company constituted in 2015. The sheer speed with which it came into being bespeaks volumes of its professional approach. Let us have a brief look at its history. 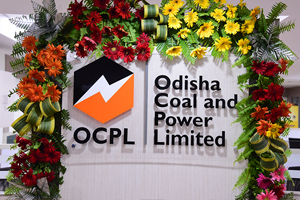 The OCPL gets incorporated as a wholly owned subsidiary company of OPGC Ltd (Odisha Power Generation Corporation Limited) on 20th January, 2015 with the main objective of mining and supply of coal. Within a fortnight, OCPL becomes a Joint Venture Company when Odisha Hydro Power Company Ltd buys 49% of the shares – all pursuant to the Notification of Government of Odisha. OCPL files application for allotment of Manoharpur and Dip-side Manoharpur Coal Blocks under the provisions of The Coal Mines (Special Provisions) Second Ordinance, 2014 and is declared as the successful allottee of the said coal blocks on 24th March, 2015. Nearly a week later, on 30th March to be precise, it signs the Allotment Agreement with the Nominated Authority, Ministry of Coal (MoC). Allotment Order of Manoharpur & Dip-side Manoharpur coal blocks issued on 31st Aug 2015 to OCPL by the Nominated Authority for supply of coal exclusively to OPGC expansion Power Project at Ib-Thermal Power Station, Banaharpali, Jharsuguda, Odisha. A small acorn which has just germinated in the land of Lord Jagannath in the year of NabaKalebar; we are confident a mighty oak will grow out of it.